Use a letting and managing agent that is a member of one of the professional industry bodies. Although you can’t abdicate all your responsibilities, you can hand over much of the legal burden to an agent. 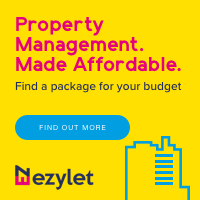 They should check your property thoroughly to make sure it (and all its contents) complies, advise you of anything you need to do yourself, then carry out all the required processes for finding a tenant and administering the let. Assuming you choose an agent that is a member of ARLA, RICS, UKALA or one of the other professional industry bodies, you can be confident that they are properly trained and kept up to date with all the latest legislation. Keep excellent records. A lot of the rules around health and safety require periodical checks and tests to be carried out, so make sure you keep a clear written record of these or receive them from your agent so you can prove you have taken every reasonable step to keep your tenants safe. That’s for things like: fire risk assessment, fire alarm testing, PAT testing of electrical equipment, legionella - and even things like gutter and drain clearing. Check your local authority’s rules. Make sure you speak to your local council’s planning, building regulations and housing departments to find out what their policies are for your specific type of let, particularly if you are converting or extending a property. This is especially important if you are an HMO landlord, as there are so many more rules to abide by, or if you have buy to let properties in other areas – be aware that the rules might be different in each location. Respond to your tenants quickly. Since the Deregulation Act came into force in 2015, landlords have been required to respond to tenants’ complaints and requests for repairs in a timely fashion, then fix any problems as soon as possible. If that wasn’t done, the tenants could complain to the council and they might then impose an improvement order on the landlord. Now, with the Fitness for Habitation legislation coming in from 20th March, tenants have additional rights to take landlords directly to court themselves. So, if you do receive any communication from your tenants about problems with your property, make sure you take it seriously, respond quickly and keep careful written records at each stage of the process. Don’t ignore improvement notices! If you do inadvertently fall foul of national or local regulations, it’s most likely that your local authority will initially give you a warning, possibly in the form of an ‘improvement notice’. That outlines what’s wrong and requires you to put things right within a certain timeframe. In cases where landlords have been handed the biggest fines, it’s usually been because they repeatedly ignored a succession of improvement notices. But, providing you communicate well with the council and demonstrate you are doing all you can to fix problems and provide a good, safe home for your tenants, you should be able to avoid fines or further action.